I have an embarrassing confession. My most viewed post is one of my ugliest. Yummiest maybe but certainly not my best when it comes to photos. 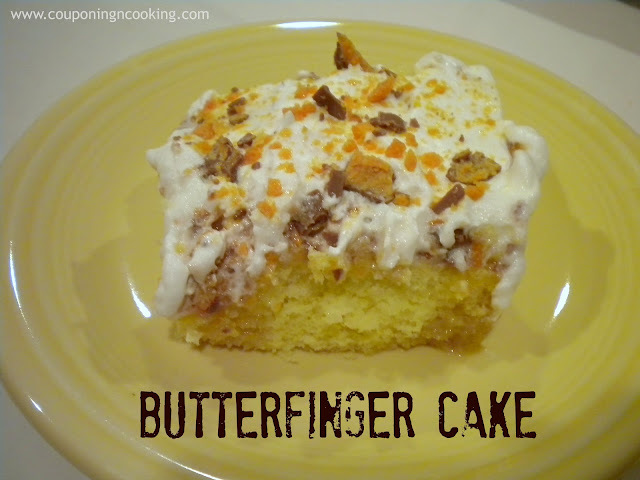 I have posts I have spent hours on, edited over 100 photos for and still this Butterfingers Cake is my most viewed, reposted, pinned and shared recipe of all time. It's ironic, really. As bloggers, we work so hard to have the perfect pictures to go with each recipe yet this is a post that I originally spent maybe 15 minutes on. It was from back when my blog had a total of 50 readers, 25 of which were directly related to me. So I am resharing it with some new photos. Because this is the kind of dessert that should be shared with you, my newer and fabulous readers. I do not know where I got this original recipe from. It is all over Pinterest and I really have no idea where the recipe first came from. Any suggestions? I would love to thank and give credit to the original creator! This is another one of those recipes that I saw on Pinterest and just had to make. I have made this cake twice now and everytime it has earned rave reviews. It is amazing how good it is with so few ingredients. It tastes like it would be way more complicated than it really is. ﻿1. Bake the yellow cake in a 9x13 pan as directed on the box. 2. 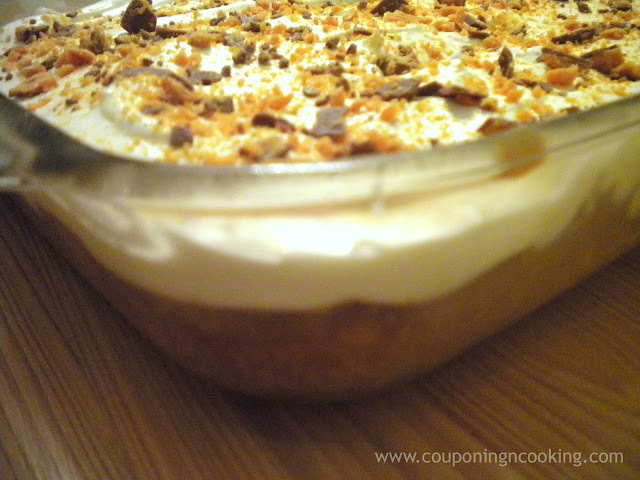 While it is baking, mix together caramel and condensed milk. 3. When cake is hot out of the oven, poke holes in the cake with a fork. ﻿4. Pour caramel mixture over the hot cake and let it sit until completely cooled. The cake should soak up the caramel. 6. 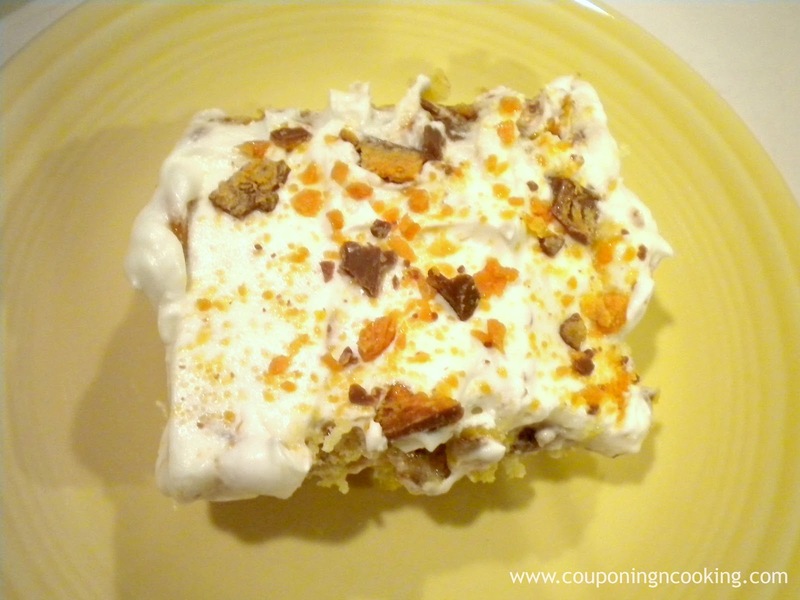 Ice the cake with the Cool Whip and top with last two crushed Butterfingers. Store in the fridge once iced. OMG this looks sooooo good!! I made this yesterday, delicious!!! omg this is KILLER! Can't wait to try it and read more great recipes on this blog. Feel free to stop by mine, too! Butter finger is my favorite, I'm gonna have to try this recipe. This is such an awesome looking (and sounding) cake!!! Love all the ooey gooey goodness going on in it!!! Oh, this looks SO good! I just made my first poke cake and it's waiting for me in the refrigerator. YUM! I can not wait to try this! 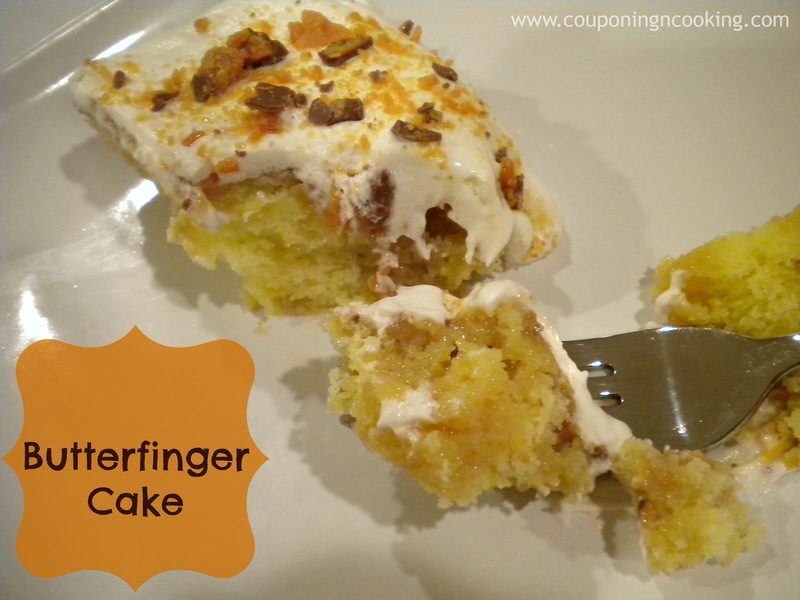 I just might have a bag of Butterfingers leftover from Halloween! I would love it if you'd share this with us at Real Housemoms for Fabulous Fridays! OMG this look sinfully decadent! Wow this looks good, no wonder it is your most popular post! Glad you linked up at "I Gotta Try That" Have a great Thanksgiving! Sounds wonderfully rich and sinful! Like the new photos too! Thanks so much for sharing on Busy Monday! I think your pictures look just fine! 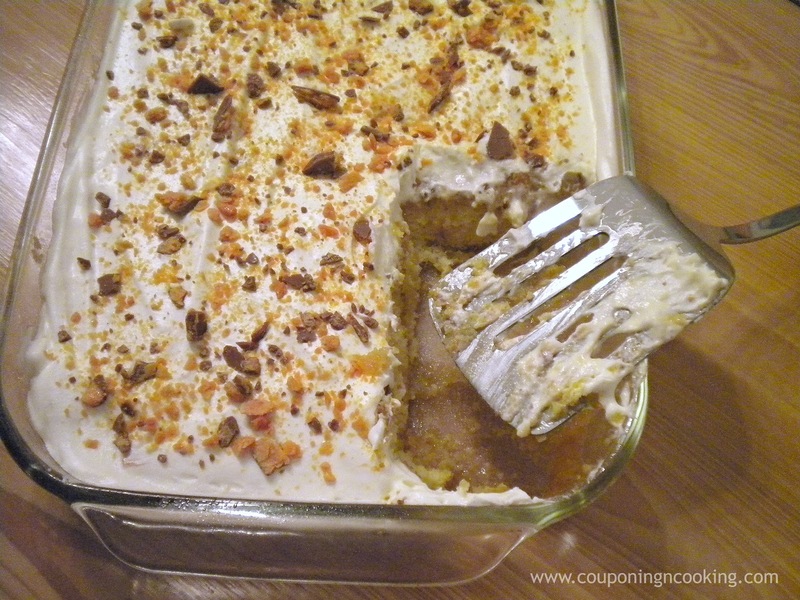 That is one delicious looking cake :) Thanks for linking up to Tasty Thursday.